A trusted family owned supplier of residential, commercial and architectural interior flush wood doors. Founded in 1978, Lynden Door is a family owned and operated business that has become one of the leading producers of residential, commercial and architectural doors in the Western U.S. and Canada. 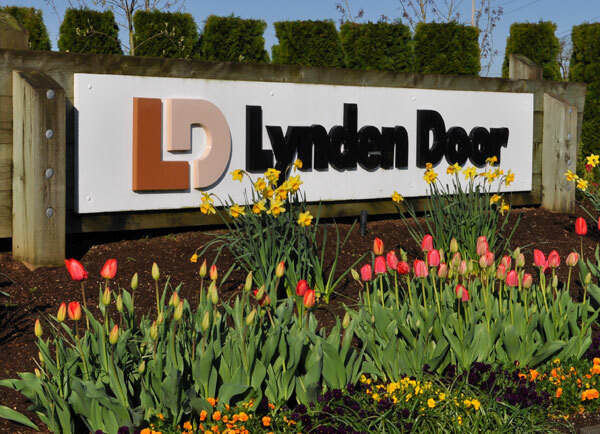 Located on a 52-acre site 2 hours north of Seattle, Lynden Door’s history is deeply rooted in a sincere faith and humble trust in God, and a belief that “if you want a long and satisfying life never forget to be truthful and kind. If you want favor with both God and man, and a reputation of good judgment and common sense, then trust the Lord completely with everything you do, put God first and He will direct and crown your efforts with success” Proverbs 3, The Living Bible. The business is built around faithfully serving people and supporting Christian ministries. As a family owned business, our desire is to extend that “family” atmosphere to all of our customers, suppliers or employees. The purpose is to honor God in how Lynden Door conducts business. As a business, the goal is to realize a profit by meeting the needs of people. Profit provides business stability and strength and permits growth, which benefits the owners and employees, those with whom they do business, and the community. • Honor God in all we do. • Help grow and develop people. 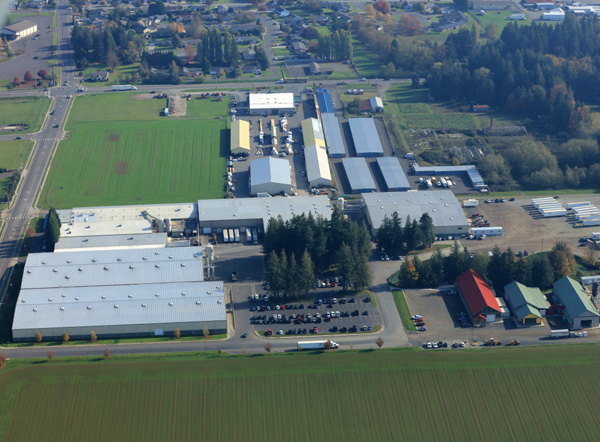 Lynden Door Manufacturing Plant in Lynden, WA. Although company President Ted Bargen has been guiding Lynden Door’s development since the company’s founding in 1978, his exposure to the industry started even earlier, as he literally grew up in the door business through his father John’s earlier successful ventures. “It all started with a flood . . . In 1948, a serious flood in the Fraser River Valley in British Columbia, Canada started a sequence of events that set the stage for the Lynden Door of today. As a 25-year-old newlywed, John Bargen took up the challenge of replacing the waterlogged stile and rail doors in the flooded homes of the valley with newly invented hollow-core flush doors. This humble beginning from a carpenter’s workshop in the small village of Yarrow, B.C. led to a thriving door manufacturing business that has expanded from the Fraser Valley into a trading region encompassing much of Canada and the Western United States. 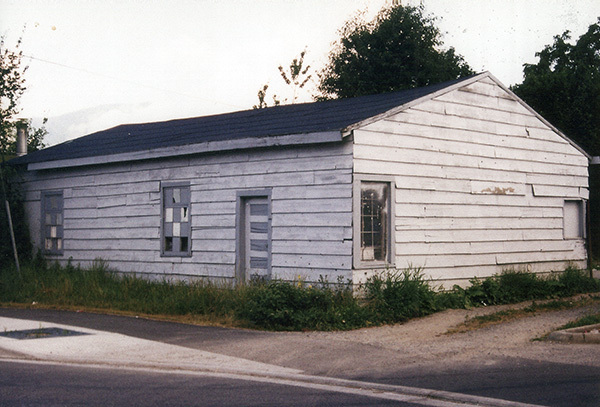 The original 1945 building is still standing today in Yarrow, B.C. This building, built by Ted’s grandfather, was previously used as a workshop for their home and barn construction business. The small door business in Yarrow eventually found its way to Richmond, B.C. using several converted chicken barns on “Bird Road”. These buildings served quite well until 1958. A new plant was built on Shell Road, complete with a dry kiln, planers and cut stock production, and the company was heavily engaged in the Vancouver post-war building boom. John and his two partners later sold this business to their biggest customer, woodworking giant Sauder Industries, in 1965. John returned to the construction business. The Bargen family moved from Richmond, B.C. to nearby Lynden, Washington and purchased a farm with considerable timber in Sumas, Washington. A small portable sawmill was the starting point and soon John and Ted were looking to broaden their enterprise. The owners’ shared dream of re-entering the door business began to take shape. And so it was that John, together with his son Ted, 24 years old and newlywed, started a new door manufacturing plant in Lynden, Washington. 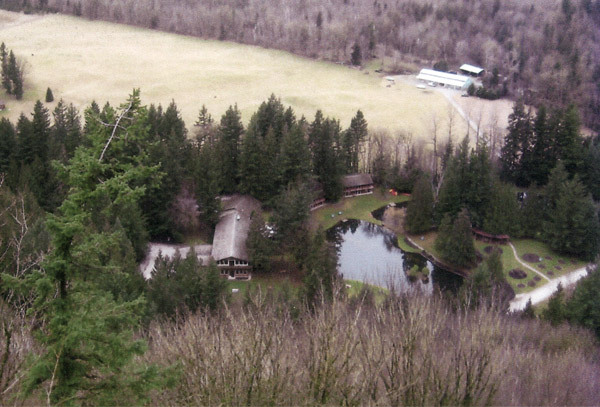 The family has also been blessed with the founding of the nearby Cedar Springs Christian Retreat Center ministry in Sumas, Washington, a non-profit organization, as well as the most recent launch of the Technic Center, a training center built on site to prepare high school students for jobs specializing in woodworking and manufacturing. 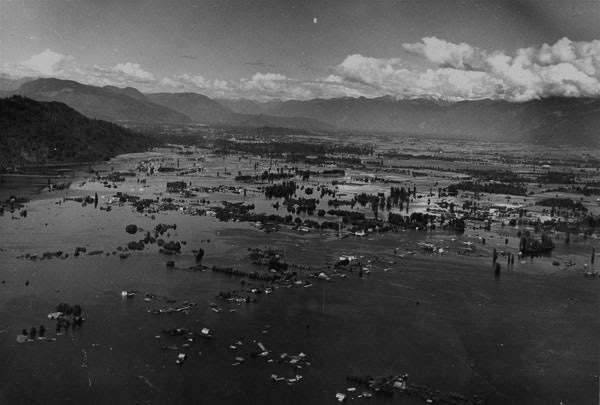 1948 Fraser River overflows its banks and floods the valley.